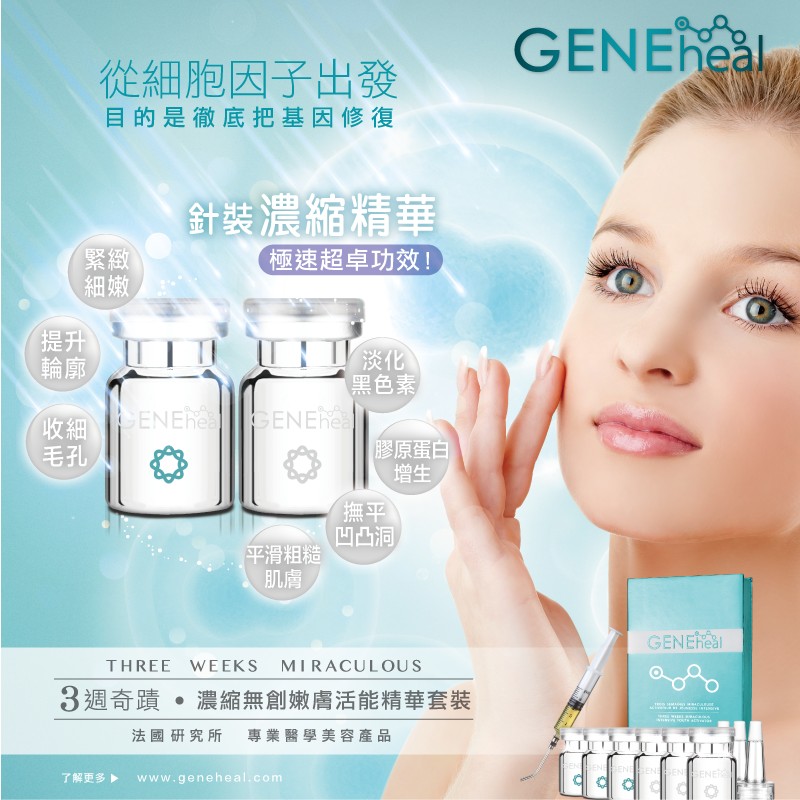 New formula of GENEHEAL is an effective, safe and rapid “Non-invasive Rejuvenated Treatment.” By the use of two professional and precise small molecules in active rejuvenated cell formula, it will make them complement to each other in the mixing process, activate the metabolism system as well as penetrate into the skin basal layer for maximum and optimal results. The skin will instantly become soft and delicate; the facial contour will be more uplifted and re-defined; the pores will be tightened; the texture will become silky smoothed and toned in complexion; the bumps will also be blended away. To use day after day, your fine lines will gradually be reduced. People will then be impressed by your delicate and outstanding facial contour. How to use: Use in the morning and evening, open the two kinds of essence by the attached environmental cover, put 0.5 ml of each in the palm and mix them together, apply evenly on the face and around eye area. Professional usage: take out 1ml from each of two different essence by needle, mix them in a small bowl, pat onto the face by either finger or beauty device until full absorption.